USS Yorktown (CV-10) on June 5, 1944, at an unidentified location, but probably Majuro Atoll, wearing camouflage 33/10A The vertical colors are navy blue, ocean gray and light gray. Another in a series of USS Yorktown (CV-10) probably at Majuro on June 5, 1944, wearing camouflage 33/10A. One more from a series of USS Yorktown (CV-10) probably at Majuro on June 5, 1944, from the starboard stern quarter wearing camouflage 33/10A. The final in the series of USS Yorktown (CV-10) probably at Majuro on June 5, 1944, wearing camouflage 33/10A. USS Yorktown (CV-10) in an aerial view on September 30, 1944, in Puget Sound, wearing camouflage 33/10A. Photo source: NARA BS 72564. USS Yorktown (CV-10) on October 6, 1944, again in Puget Sound, wearing camouflage 33/10A. Photo source: NARA BS 72375. 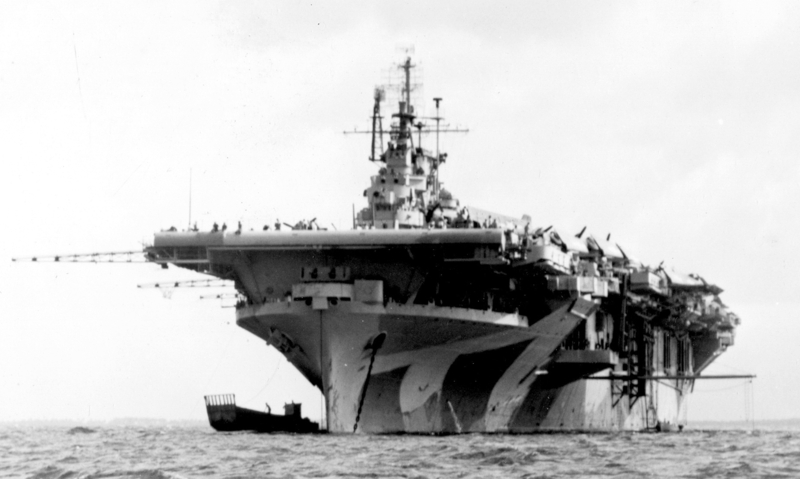 USS Yorktown (CV-10) again on October 6, 1944, in Puget Sound, wearing camouflage 33/10A. Photo source: NARA BS 72377. USS Yorktown (CV-10) is seen from USS Wasp (CV-18) on December 5, 1944, in Ulithi Atoll, wearing a worn camouflage 33/10A. 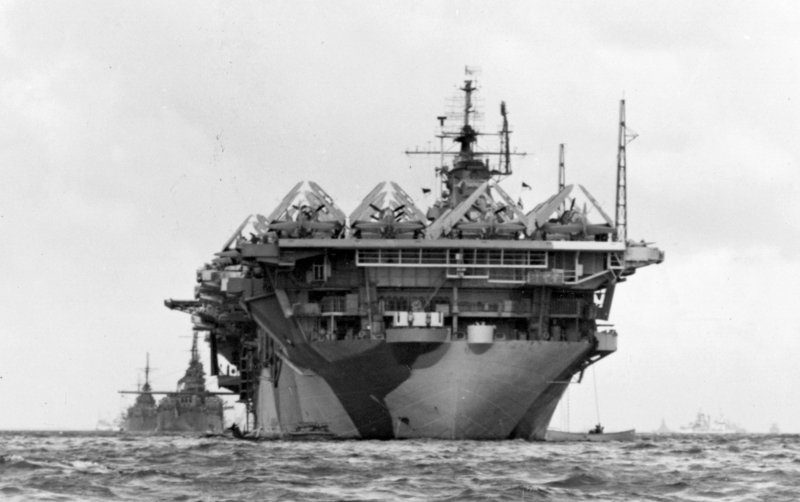 USS Hornet (CV-12) wearing 33/3A and then USS Hancock (CV-19) wearing 32/3A are in background. Photo source: NARA 80-G-290634.